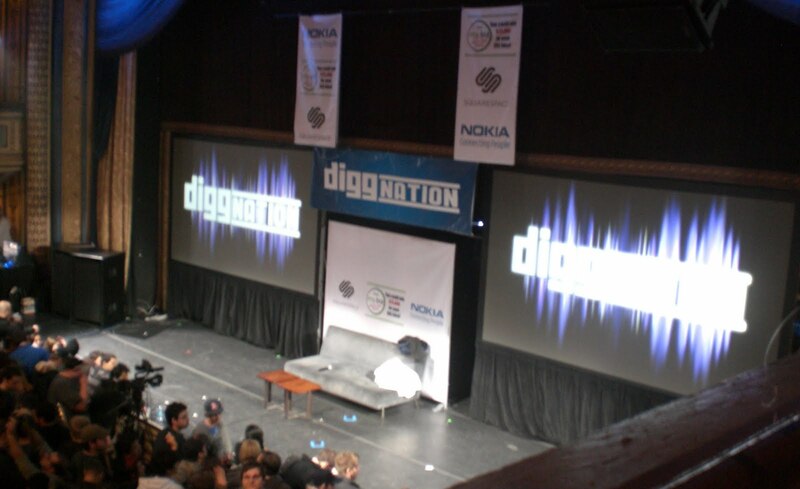 Diggnation is a podcast where two guys talk about some of the cool stories that made Digg.com that week. Every once in a while they do the show live from various locations. Last week they did it from the Manhattan Center, so we took the train into NY to see it. We've now got the whole train thing down. We've figured out parking details and buying tickets and finding the tracks at the Trenton Transit Center. We know the stops on the way. Once you get off at Penn Station there's some confusion, just because the place is monstrously huge and there's a million different trains and subways and exits, but it doesn't really matter since once you're above ground you can re-orient yourself anyway. We grabbed some Chipotle burritos (burritos may be the only food in the entire world that we both take the same way, LoL) and headed over to stand in line for an hour. The doors opened at 7 for an 8:30pm show, and we arrived a few minutes after 6. There were a couple hundred people in line already, but the queue went all the way down the block and around the corner by the time we actually started moving. The show was on the 8th floor, so there were tons of steps that we were all practically running up to get good spots, LoL. There was fruit and cheese, but I can't comment on their quality since we didn't have any. The stage was already surrounded 7 or 8-deep in people, so we opted to go up to the balcony to watch the show from a seated position at least. 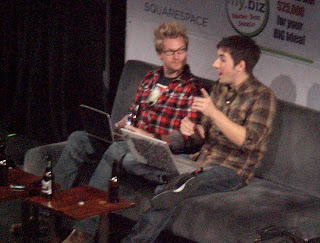 We still had a very good view, but we didn't get any of the prizes that were tossed out into the audience at random points in the show. 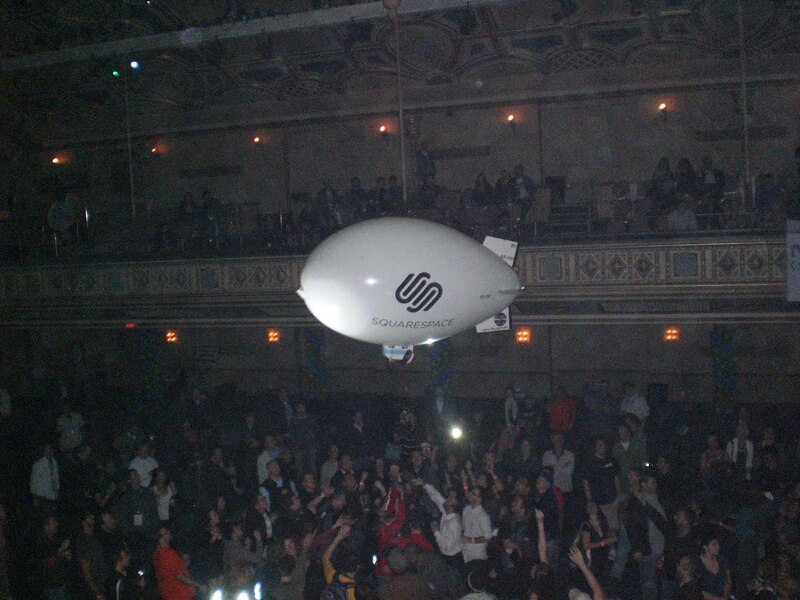 view from the floor view from the balcony squarespace gave out iPod Touches by remote-controlled blimp! 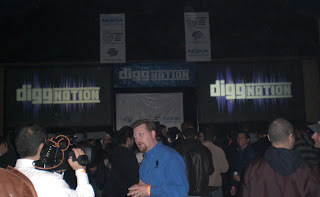 Now, Jonathan is a big fan of Diggnation, and I've only seen the podcasts twice (and once was on the train headed to see the live show, haha). But, I had a good time because I treated it like a comedy club and just had a good time laughing at everything. 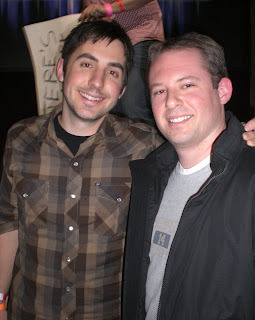 After the show we were able to go down to the main level, and Jonathan shook hands with Kevin Rose. I got a picture of the two of them, and Jonathan got his autograph on the back of his phone. The episode is on the internet already, check it out here.